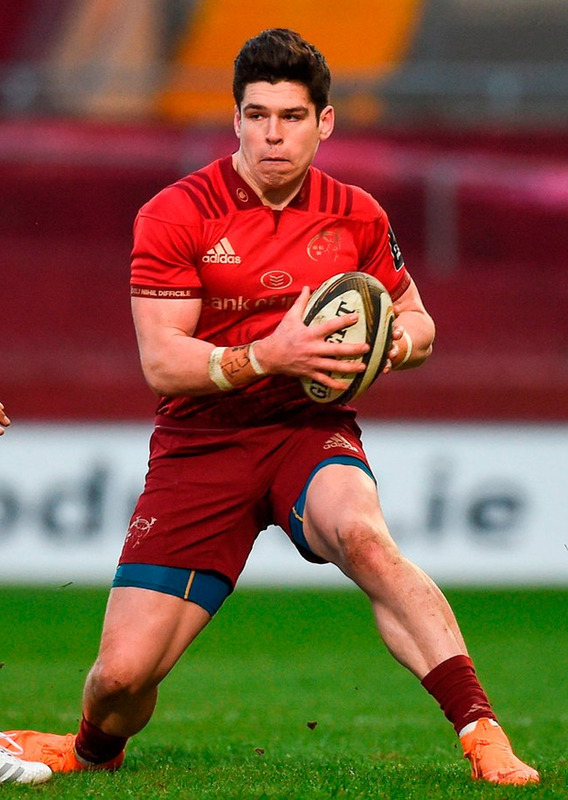 Munster's flying winger Alex Wootton is aiming to stick to the game-plan in a bid to avoid any big-match nerves when Toulon arrive at Thomond Park tomorrow. This could well be Wootton's third Champions Cup start of the season if he is named on the wing for Munster, and after he broke his European try-scoring duck as a replacement last time out against Castres, confidence is sure to be soaring for the 23-year-old. And with 19 appearances and nine tries to his name in this campaign, Wootton wants to be prepared to ensure he's ready for the biggest test of his career. "I suppose there will be nerves but we do all our prep during the week and the coaches do unbelievably well, they analyse the team and we go in with a plan. "As long as we execute the plan then we're 100 per cent confident that we'll come out with the win," Wootton said. Wootton very nearly bagged try number ten for the season against Scarlets last weekend, but after he had ran the length of the field the TMO rightly chalked out his score for a knock-on. Injuries right across the backline mean he is sure to be involved in some way tomorrow, but he knows anyone who steps up will have to perform. "There's a few back-row injuries at the moment but Robin Copeland is playing unbelievably well, he seems to be playing out of his skin at the moment. "Munster always do it the hard way but we've got unbelievable depth in the squad, which has improved the past few years, so we'll be happy no matter what team we put out I suppose. "The last 80 minutes I played was at home to Glasgow, so I think that's over a month maybe. So it's definitely good going into next week, getting a full 80 under my belt. Because otherwise next week would be very tiring."